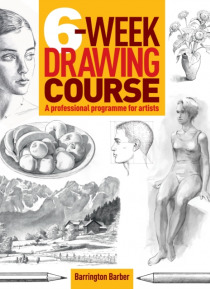 In this title Barrington Barber teaches the essentials of drawing, offering a six-part course that will suit absolute beginners as well as anyone who wants to improve their existing skills. Although the book is structured in six weekly lessons, the timing is flexible: readers might prefer to work through in a different order, or spend less or more time on each section. However, beginners will find… it easiest to progress from start to finish.